Suva will face Lautoka in the final of the 2018 Courts IDC today. The last time these two sides met in the IDC final was 53 years ago. Suva and Lautoka have not played in the IDC final since 1965. 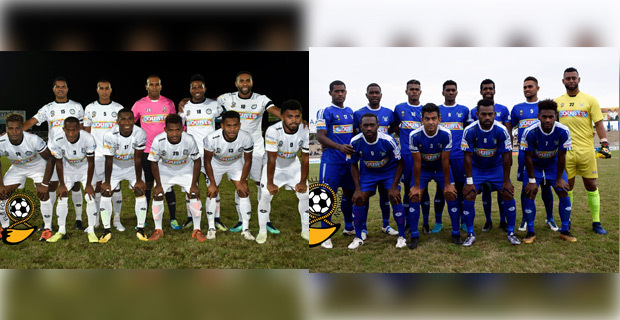 Suva thrashed Labasa 4‑0 in the second semifinal to book its spot in the final. Labasa had no answer to the Suva onslaught and lacked energy, ideas and skills. Bruce Hughes scored twice while Napolioni Qasevakatini and Filipe Baravilala scored a goal each for Suva. The Gurjit Singh coached Suva side displayed great attacking game from the first whistle and also defended well when Labasa came on attack. Singh says they will try to win the tournament. In the first semi‑final, Lautoka beat Nadi 3‑1. Nadi took the lead in the 25th minute of the first half after Rusiate Matarerega took advantage of Lautoka goalkeepers mistake and kicked the ball in an empty goal mouth. Nadi led 1‑0 at half time. Lautoka came strong in the second half and Jone Vesikula scored two quick goals through set pieces. This happened when Nadi's Rusiate Matarerega was out of the field nursing an ankle injury and Nadi was temporarily playing with 10 players. Benjamin Totori scored the third goal for Lautoka after mesmerizing the Nadi defenders with his footwork and dribbled past Nadi goalkeeper, Vereti Dickson. Totori says for he is very happy to have his team win and gives credit to his team for the win. Meanwhile Lautoka coach Kamal Swamy says they are now focusing on the finals. Lautoka will play Suva at 3pm today in the IDC final and you can catch the live commentary on our sister station, Radio Sargam. Meanwhile, Navua will play Nadroga at 12pm today in the Senior final.